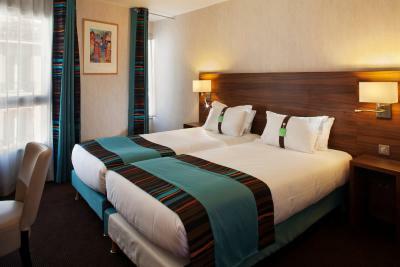 Lock in a great price for Holiday Inn Paris Montmartre – rated 8.1 by recent guests! The rooms, the bathroom, the friendly people. This was a nice hotel. I was very pleased with the "family " interlinked room set-up. It was ideal for a family that wanted their kids to be close to them. Location-wise well situated. Very helpful staff. Value for money deal. Perfect location. Comfortable bed. Staff were very helpful and friendly. Raphaēl and the other front desk employees were awesome! We had to return our rental car to the airport extremely early in the morning. Raphaēl helped find a 24-hour gas station near the hotel. The front desk staff were exceptional and went above and beyond to make us feel welcome. The location is perfect for someone looking to explore Montmartre and it's a short seven minute walk to Sacre Coeur. The hotel staff was really nice and polite. Check-in and check-out were quick and smooth. The room was clean and comfortable. 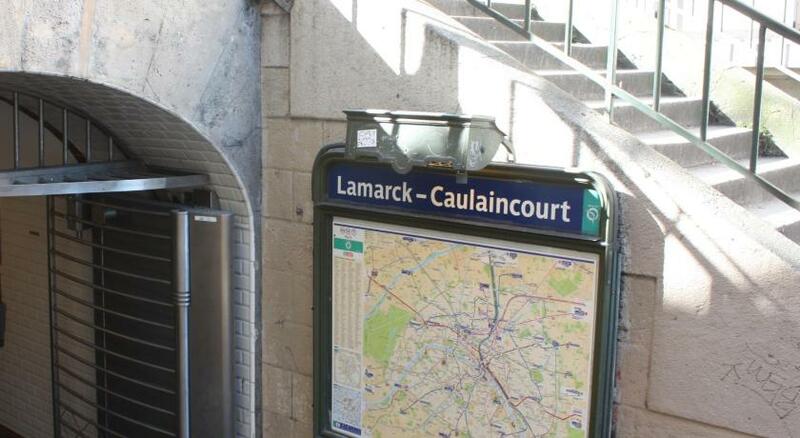 Perfect location in the heart of Montmartre. Just few minutes away from Sacre Coeur and other sightseeings. Set in a residential area, the hotel offers air-conditioned room with 26-inch, flat screen TVs with satellite and foreign channels. They also have double-glazed windows, tea and coffee making facilities, 2 kinds of pillows (either soft or hard) and private bathrooms with a bathtub. All rooms are accessible by a elevator. This hotel is set near Place Clichy and the Pigalle district, an area that offers a wide choice of brasseries, restaurants as well as characteristic Parisian entertainment, such as the well known cabaret Moulin Rouge. 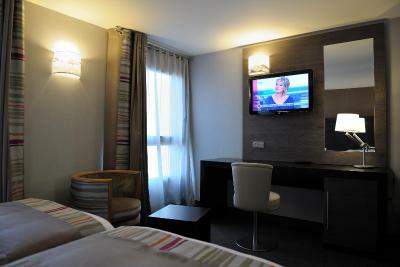 When would you like to stay at Holiday Inn Paris Montmartre? This is made of 2 separate rooms with a private hall between them, 2 bathrooms with bathrobes and slippers, tea and coffee making facilities, 2 LCD, satellite TVs and free Wi-Fi access. It also includes soundproofing and tea/coffee facilities, as well as a mini refrigerator. Please note that an extra fee will apply if there is a 3rd adult ( 3 adults + 2 children) and a 4th adult ( 4 adults + 1 child). For more details, please contact the property in advance. 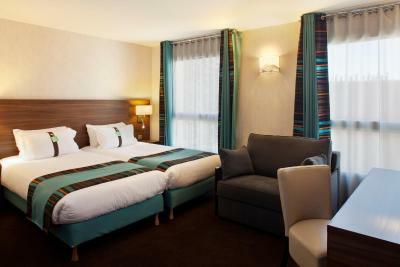 House Rules Holiday Inn Paris Montmartre takes special requests – add in the next step! Holiday Inn Paris Montmartre accepts these cards and reserves the right to temporarily hold an amount prior to arrival. Please note that the bed type cannot be guaranteed upon check-in. 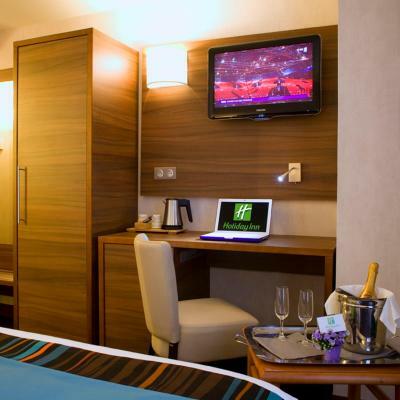 Please note an extra fee will be charged per extra adult for the Two-Bedroom Family Joining Suite. You will find more details in the room's description. In February and March 2019 the breakfast room and the hotel lobby will be renovated. Guests may experience inconvenience or noise disturbances from 9:00 to 18:00. Nothing. It was really good. Central position, parking just down the road, extremely helpful staff and comfy bed! Construction noise. The elevator was not working due to construction. Not advised prior to booking. Very disappointed. 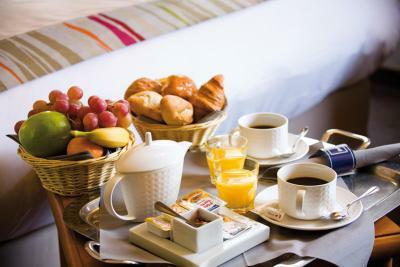 The hotel compensated with coffee and croissant but be careful!!!! Only one croissant allowed!!! No elevator and being awakened every morning with banging and drilling deserved a better breakfast at a minimum!!! Breakfast staff was not friendly for hotel guests. Front desk personnel was good attitude. Five floors, lift out of order! Everything was amazing. Good sized room, good bathroom, comfy beds, bar fridge and they kept replenishing the sachets of things. We stayed when they were supposed to be doing renovations but they must have been delayed because there was nothing of note but they gave us 50% off during the visit. The staff were really friendly and told us about local interests and where is good to eat etc. The hotel is quite small and there’s just one elevator. The breakfast buffet was nice but there were no clean plates so you must use still the same one. Overpriced and did not meet 4 star hotel standards. #1. Breakfast: bacon seemed as if it was boiled. Eggs were dry. Most salt bags were empty. Breakfast served only until 10am. There was a spider web on the ceiling on top of the bread basket. Had to ask for water as there was none on the breakfast buffet. Had to ask for bowls and cutlery as there were none on the breakfast buffet. #2. Terasse: the terasse was dirty and 'decorated' with broken pots. Cigarettes were floating in a puddle of water on the ashtray during our stay (3 nights) #3. Lobby: there was an unpleasent smell in the lobby. #4. Elevator: I do not know when was the last time they made a maintenance check to this elevator, but it did not feel very safe. It trembled. #5. Staff: some employees were ok. Others...were really not ok. Definetaly NOT worth the 150€/per night for a double room. Location was good if you like the 18th arrondisment. 5-10 minute walk from the metro.